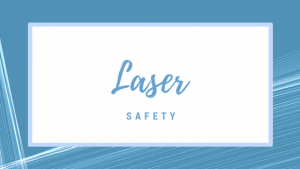 Do you own or oversee laser repair within your practice or facility? Did you know you can learn to maintain and repair most of your own lasers? 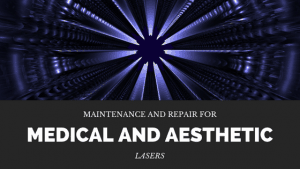 Anyone that is technically inclined can learn how to perform the regular preventative maintenance which is required to keep your laser in the best possible shape. They also can learn how to be on the front line when it comes to troubleshooting lasers when they fail. This type of training also helps tremendously when it comes to paying someone else to do the work. It helps ensure you have a basic understanding of what is reasonable, to help prevent you from being taken advantage of by a less than reputable service provider . There are no types of special permissions or licensing needed from the government agencies or any specific laser manufacturer to be able to repair lasers. You can think of it kind of like working on your own car. The more you know about optics and electronics, the better off you will be in the long term, but all that is really required to know for the basic laser maintenance is knowledge of basic electricity, basic mechanical systems, and how to use a meter. This laser mechanics course is designed to teach you how to fix and maintain your own lasers cost effectively instead of paying exponentially for parts and repairs. Furthermore, this course will introduce you to a network of laser parts and service providers that can assist you in anyway when you need it. On top of that, faculty offer free advice after the training on a limited basis. If anything goes wrong outside of your expertise, they offer good rates to come in as your service backup technician. Optionally available are laser certification exams that can be provided at the end of the week long course. The course includes affiliation with a network of independent laser service providers that can provide information on service and parts on various lasers. Manufacturers are required by federal law to provide the Laser Service Manuals at the “cost of reproduction”, and we discuss these laws in the course. Biomedical Engineers have the best background for these courses, but we’ve also had many with no formal technical training, but were mechanically and electrically inclined. This is NOT an “Engineering and design” course and one does not need an extensive background in electronics nor optics. It IS a “Laser Mechanics” course that teaches people how to repair broken lasers with stock off the shelf parts and normal repair procedures. Anyone technically inclined is able to being learning to maintain and repair lasers. Learning to service lasers is often a required skill or useful for Biomedical Engineers while working in medical or hospital environments. There is no federal formal requirement, licensing or permissions in order to fix lasers. Manufacturers also do not require any form of permission to service their branded machines. Some manufacturers do however require proprietary software to enter a maintenance mode which may limit access to perform certain services. Laser maintenance and repair can be viewed under the same light as working on your car. The maintenance and fixing techniques can be learned and applied right away. Working on lasers is easier when you have an understanding of optics and electronics. Maintenance of medical and aesthetic lasers uses basic electricity skill, ability to operate a meter, as well as plumbing and cooling. Becoming a skilled laser mechanic can be done quickly and will explore common troubleshooting and routine maintenance to avoid needing immediate major repairs. 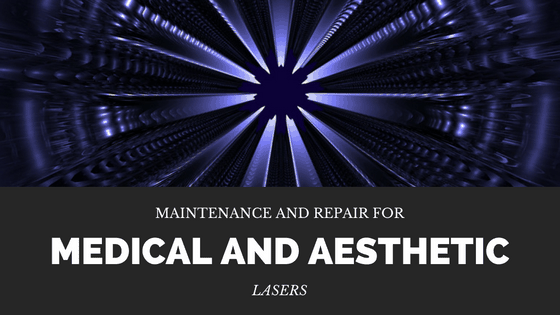 The objective of the medical and aesthetic laser mechanic is to keep the machine from malfunctioning by performing preventative maintenance. Laser mechanics are introduced to the theory of laser biophysics, advanced laser physics and even laser electro-optics, as well as the biological processes and effective surgical techniques. These are included in various sections of the laser certification exam NCLC. This course is a pre-requisite to attend the model specific advanced training. Save money. Fix your own lasers. This is one of the most comprehensive laser mechanics courses available. It starts at the very beginning and lays a solid foundation for continued learning. The course utilizes hands on training with extensive activities and training designed to develop a true understanding of the maintenance procedures involved with lasers. This 7 day school will teach through hands-on experiences optics assembly and cleaning, calibrations, and alignments. The beginning of the course will focus on core laser and optical components as well as sub-assemblies that are typically common to all laser systems. This enables the engineer to provide the necessary preventative and periodic maintenance that all of their laser systems require. It also allows them to be able to provide the service repair when things go wrong. The remaining 3 days of the program will provide a more in-depth look specific laser systems. Specific procedures are performed on a variety of models of lasers that are common within the industry such as ophthalmic laser systems like the surgical Ho:Yag and the Q-switched Yag lasers. Procedures performed on the Alexandrite, KTP, CO2, and Pulsed dye lasers are reviewed through demonstration and video conference. Additional specific procedures are performed on additional models of lasers and rotate and vary from course to course. This week-long program covers the theory of laser biophysics, advanced laser physics, laser electro-optics, biological effects, and surgical techniques which are all included within various section of the NCLC laser certification exam. Student to teacher ratio is imperative in all of our courses and we maintain a 1 teacher to 4 student ratio. Most classes typically average 8-12 students and an intensive review session is always held at the end of the class to help prepare for the NCLC Laser Certification exam. 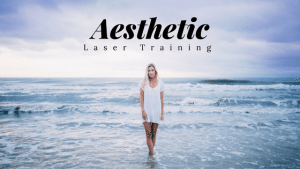 While you should not expect to be a laser expert after this course, you can expect to be able to provide your own normal routine maintenance and repairs on your lasers. Price: $6,550 for ONE person. Price includes hotel for 8 nights, breakfasts, lunches and one group dinner. Accommodations are at Drury Inn & Suites downtown. Certification exams included, if desired. These are the lectures from our week long repair course, and full credit for this online program will be applied to those attending our actual week long repair seminar within one year from taking the online program. The Course includes online access to the narrated and illustrated lectures, a PDF course manual, a PDF copy of all the slides, and a Certificate of Laser Training. Online quizzes are at the end of most modules which you must pass with a 70% or greater score. If for some reason you don’t pass a module we’ll reset you for that at no charge. Attending the actual week long course is the best way to learn laser repair, but this course can make you more knowledgeable (and a better buyer of service) in the interim. Approved for 16 Nursing CEU’s and Qualifies for Category II CME. Also qualifies for AAMI BMET credits. Price: $1,495 for ONE person. Fee is applied to the actual workshop course fee of $6,550 for the week long program if registered within one year of the home-study course.